Here at Nathan Hassall Music we love performing at Weddings! Everybody is always just so full of joy and solely interested in having a good time that it always makes Our Musicians perform to their very best. We’ve played at hundreds of weddings right across Europe but we think the best place to get hitched is right here in London and so we’ve put together what we believe to be London’s Top 10 most opulent, stylish, extravagant, and charming Wedding Venues for your Wedding Breakfast & Reception. Now to be honest folks this list isn’t for the faint of heart, most of the venues shown below are going to come with a hefty price tag attached, but if you can’t dream of perfection when it comes to planning for your most special day when can you?! 1. 30 St. Mary Axe (a.k.a. The Gherkin): Imagine having your wedding at the very top of the Gherkin?! Enough said really. Searcy’s run an exquisite restaurant and private members club on the top three floors of what is one of London’s most iconic buildings. This award winning events space has breath-taking 360 degree views over the City of London and beyond, and come sunset you and your guests will be truly speechless. These stunning views combined with a contemporary interior of black marble makes the Gherkin one of the most stylish wedding venues in the world and Nathan Hassall Music’s No.1 choice for über -chic weddings! 2. The Savoy Hotel: Glamour? Check. Sophistication? Check. Sublime levels of Opulence? Well, hell yeah…Check! Since the completion of a £220m refurbishment the Savoy Hotel bursts with a lavish charm and elegance that is second to none. The stylish Art Deco interior makes for a perfect setting for your wedding reception or engagement party, and with an absolutely colossal ballroom and various other exquisite banqueting rooms this iconic landmark of London can cope with even the largest of weddings. If you can afford it, a wedding reception at the Savoy Hotel, one of London’s most prestigious venues, will no doubt be worth every penny. 3. The Dorchester Hotel: It was a close run thing to place the Savoy above the Dorchester in our Top 10 Wedding Venues. The Dorchester has a great selection of banqueting rooms; again it has a sophisticated Art Deco design; and we also just love the Gold Room as a fabulous space for a drinks reception before your guests then go through to the majestic ballroom for dinner. It was just the recent refurbishment of the Savoy that swung it for us on this occasion but really all of these prestigious high society London hotels are in a class of their own when it comes down to their lavish styling, quality of food, and levels of service. 4. The Langham Hotel: Perhaps less famous than the Savoy or London’s Park Lane hotels but no less extravagant and elegant is the Langham Hotel. The newly restored Grand Ballroom is a beautiful space for your wedding breakfast and can sit up to 250 people for a dinner, plus with the new Portland Foyer as an ideal space for a pre-dinner drinks reception the Langham Hotel can be a fantastic alternative to any of the other large London hotels. The ballroom has a lovely acoustic for live bands (especially jazz groups) and with such an impressive location (with city tours available in their wedding packages) it’s hard to fault the venue at all. 5. Kent House, Knightsbridge: A hidden little gem of the London events industry ideal for medium sized engagement parties and wedding receptions. Events at Kent House are managed by the fantastic team at Evolve Events & Venues and they truly are first class wedding/party planners with a wealth of experience in creating that perfect special day but with lovely little individual and creative twists. The beautiful house itself is tucked away behind imposing wrought iron gates giving any event held there a great feeling of exclusivity especially as its right in the heart of fashionable Knightsbridge. Kent House is a perfect choice for those who still want a big dose of glamour for their wedding but don’t require the vastness and nostalgia of some of the large London hotels. 6. Kensington Palace Orangery: If you are looking for the ultimate high society venue for your wedding then you can’t possibly do better than a royal palace! The Orangery is licensed for civil ceremonies and is surrounded by lovely gardens with enough room for a handsome marquee suitable for over 300 people if so desired. It’s in the summer time that this venue comes into its own allowing guests to spill out onto the gardens revelling in the sunshine and drinking champagne whilst envious passersby that were busy strolling through Hyde Park moments ago peer over the fences jealous of the glamour and style of you and your guests. The Orangery is a charming wedding venue for those wanting the most British of celebrations. 7. Mandarin Oriental Hotel Hyde Park: Another top class London hotel but this time away from Mayfair (just down the road in upmarket Knightsbridge). The ballroom is suitably lavish with an immense amount of gold gilding set against white walls, as well as beautiful chandeliers and huge windows looking over Hyde Park. However it isn’t the biggest Ballroom out there (able to cater for up to 200 people) but this can actually help create a more intimate feel during your wedding breakfast and evening celebrations than in some of the bigger London ballrooms whilst it still allows you to retain that feel of opulence and glamour. Again due to its size this ballroom is fantastic for live music (especially jazz and pop, as classical music ensembles can sound rather thin and dry in that space when it is full of guests) and so this excellent hotel is well worth your consideration. 8. The Hall, Gray’s Inn: We think the Hall at Gray’s Inn is the perfect choice if you are looking for a touch of the traditional for your wedding reception. With the lighting dimmed the Hall is extremely majestic with its wooden clad walls, aged oil paintings and crests giving any event a charming ambience of English history and ceremony. We also love Gray’s Inn because the Hall has a wonderful balcony ideal for musicians, where they can subtly perform background music from during your wedding breakfast adding a great finishing touch. Gray’s Inn also benefits from one of the largest private gardens in London and so if you are looking for an outdoor space for your drinks reception as well, this lovely venue could indeed be the ideal choice for you. 9. Inner Temple Gardens: If you are willing to chance the British weather in the summer months then Inner Temple could well be the ideal choice for you. The events spaces at Inner Temple are licensed for civil weddings and partnerships and so you can actually organise your whole day “in house”. There is a lovely selection of Georgian banqueting rooms and they even have two luxury bedrooms so you don’t need to stray far from your celebrations come the end of the evening. However it is the award winning 3 acres of gardens that we enjoy most at Inner Temple. Enclosed on three sides by stunningly grand buildings the gardens look out towards the Thames and due to the vast space available there is even enough space to cater for up to 1200 guests! So, if you desire a perfect English summer’s day with an open air drinks reception followed by an exquisite wedding breakfast in a brilliant white marquee then Inner Temple Gardens has to be your choice. 10. The Landsdowne Club: Right in the heart of London’s exclusive Mayfair and just tucked around the corner from the famous Berkeley Square you’ll find this wonderful private members club. This grandiose venue has the ability to provide a complete wedding package from ceremony to reception, including 72 bedrooms for you and your guests to use if you and your guests plan to celebrate long into the night. The club has an elegant 18th century galleried Ballroom perfect for even the most sophisticated wedding breakfasts plus the charming winter garden and versatile courtyard make for great areas for drinks receptions. The Ballroom has a useful (if slightly dauntingly high!) Minstrels’ Gallery for musicians to perform from and particularly classical music sounds romantic and lush in its wonderful acoustic. The Landsdowne Club is a great choice if you want to embrace the energy and sophistication of London but you also want to keep a strong traditional edge on your special day. 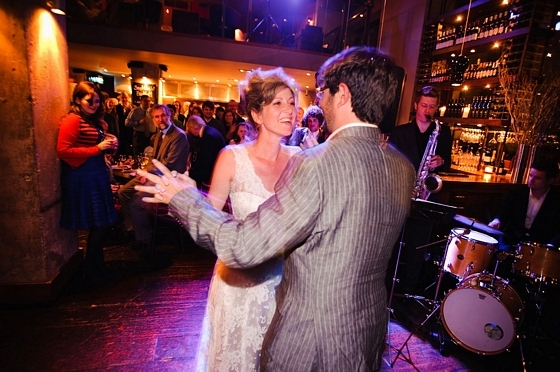 Nathan Hassall Music’s musicians have been hired to perform in all of the above wedding venues on several occasions. We feel the venues listed not only display the levels of opulence and extravagance ideal for even the most exclusive London weddings, but we also judged the venues on how they treated the guests present; the friendliness of their staff; the quality of their food; and of course how they treated our musicians! Did you find the article useful and enjoyable? If so, why not visit our dedicated Weddings Section for more ideas and special offers. If you have any comments about this article feel free to get in touch. Follow us on these social networking websites to know more about us and receive unique special offers and updates!